Our names are Vitória Pichinin Ferrari, Fabielle Ferreira Pedroso and Jaqueline Siveris and we are Visual Design Students from Brazil. We started using Blender at college in the second semester of 2016. Now we are trying to improve our skills and we believe that 3D is one of the best ways to understand and visualize ideas. This is a project we made for our Packaging class. 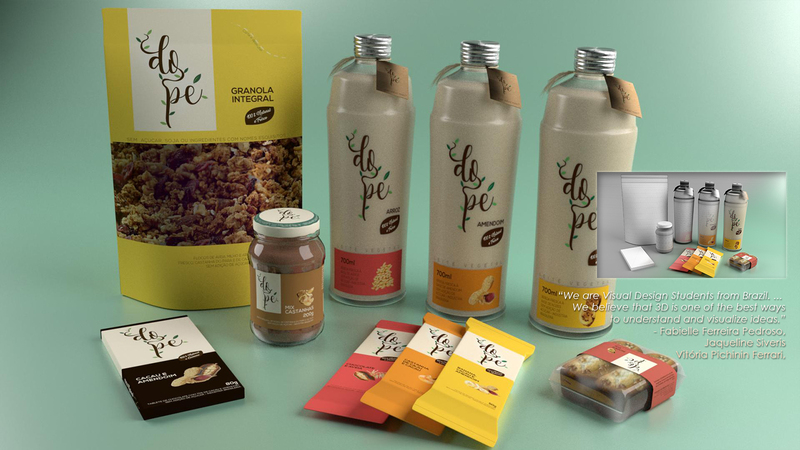 We created an organic food brand, named Do Pé (Of The Root). 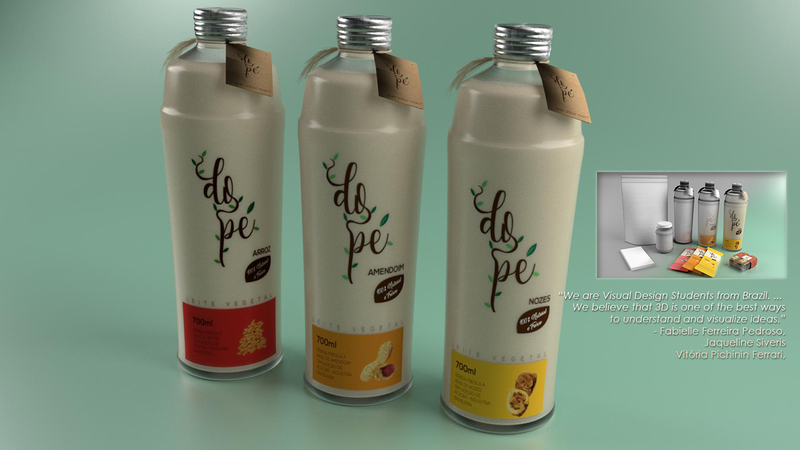 Its main concepts are sustainability, well-being, freshness and charisma.